Michael Kirk Douglas is an American actor and producer who’s been received a numerous of accolades, including two Academy Awards, six Golden Globe Awards, a Primetime Emmy Award, and the AFI Life Achievement Award. Douglas is best known for his performance in the films ‘Wall Street’ (1987), ‘Basic Instinct’ (1992), and ‘Wonder Boys’ (2000). As of 2019, Michael Douglas net worth is estimated to be roughly $300 million dollars. Michael Douglas was born in New Brunswick, New Jersey on the 25th of September, 1944. Douglas is the son to Kirk Douglas and Diana Dill. His both parents worked as actors, and he has three brothers. Douglas studied at the Allen-Stevenson School in New York. Throughout his childhood, he was interested in the craft of film making and regularly accompanied his father to film sets. Michael Douglas began his acting career with the show ‘The Experiment’ in 1969 and debuted in his first film ‘Hail, Hero!’ the same year. A few years later, Douglas starred in the film ‘Napoleon and Samantha’ who was produced by Disney and the film became a huge hit. The year 1987, was a successful year for Douglas, as he delivered two of the most well-known performances in his career in the thriller ‘Fatal Attraction’ and ‘Wall Street’ in which he portrayed the Wall street investor Gordon Gekko. Douglas starred in another blockbuster movie alongside Sharon Stone in the film ‘Basic Instinct’. The movie became an international hit but ran into controversy due to the explicit sexual content. A few years later, he was cast in ‘Disclosure’ who turned out to be another box office hit, alongside Demi Moore. Since then, Douglas also has appeared in guest roles in the show ‘Will and Grace’. In 2013, he was cast in the role of the pianist ‘Behind the Candelabra’ and his performance in the film was widely appreciated by the critics. View our larger collection of the best Michael Douglas quotes! 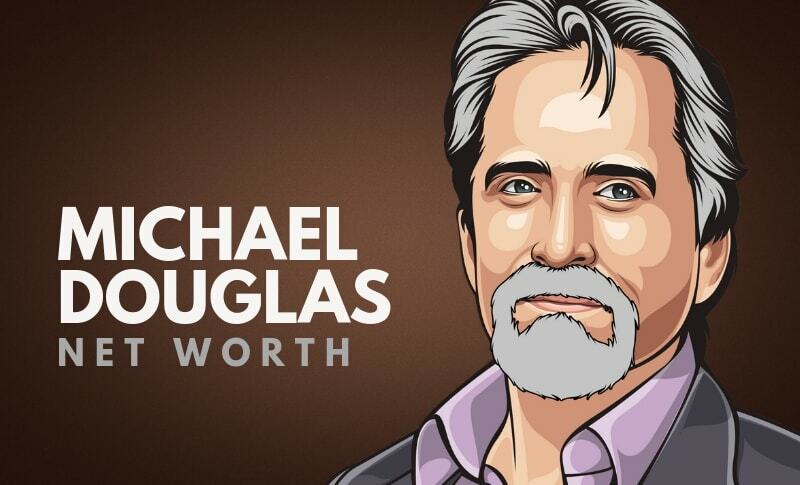 Now that you know all about Michael Douglas net worth, and how he achieved success; let’s take a look at some of the lessons we can learn from him. Don’t let negativism of your physicians questions your commitment to getting the best cure with the least side effects and most comprehensive support. Be brave and get the support of your family and friends and physicians to help you through any tough treatments you must have to cure an illness. Choose a good team to help you in your challenge to overcome cancer or serious illness. Just like Michael, your team should include yourself (he was the general), your doctors (his surgeon, radiation oncologist, medical oncologist), your supportive care specialists (his nutritionist), and your rehabilitation team (the speech and swallow and physical therapists). Don’t forget your pharmacist who can help with symptom support and finding affordable medication. Michael Douglas is one of the most accomplished actors and producers in Hollywood, who has delivered outstanding performances in a career that has stretched for over four decades. As of 2019, Michael Douglas’ net worth is estimated to be roughly $300 million dollars, making him one of the wealthiest actors in the world. What do you think about Michael Douglas’ net worth? Leave a comment below.